English alt-rock band The Kooks will be coming over to the United States soon for a headlining winter tour supporting their latest album, Let's Go Sunshine. Kicking off February 11th in Oakland, CA, the 11-date outing stops in Los Angeles (February 12th at the Hollywood Palladium), Dallas, Austin, Houston, Nashville, Atlanta, Chicago, Cincinnati, Columbus, Clifton Park, Boston and New York City (February 28th at Terminal 5) before wrapping March 2 at Rams Head Live! in Baltimore. See below for full tour routing. Let's Go Sunshine, the band's long-awaited fifth studio album, was released August 31, 2018 via Lonely Cat/AWAL Recordings. The 15-track album is brash and bold with songs that mix melancholy and euphoria, including new single "Pamela" and first single "All The Time," whose video has over 3.2 million views on YouTube. The music displays their timeless sound in its purest form, while pushing it forward into a more expansive and mature space. Fans will find songs like the anthemic "No Pressure" and "Fractured and Dazed" just the kind of guitar-led sunshine alt-rock they fell in love with when the band broke into the mainstream. The Kooks started their career with a bang in 2006 with their unstoppable and now certified quadruple-platinum debut, Inside In/Inside Out. With four more studio albums plus a "Best of," the four-piece band (Luke Pritchard [vocals/guitar], Peter Denton [bass], Hugh Harris [guitar] and Alexis Nunez [drums]) has acquired over 1 billion streams worldwide. Over the last decade, they've embarked on a number of massive world tours -- including a handful of dates supporting The Rolling Stones recently on the legendary group's 2018 stadium tour -- racking up awards and critical acclaim while maintaining a steady ascent to the top. 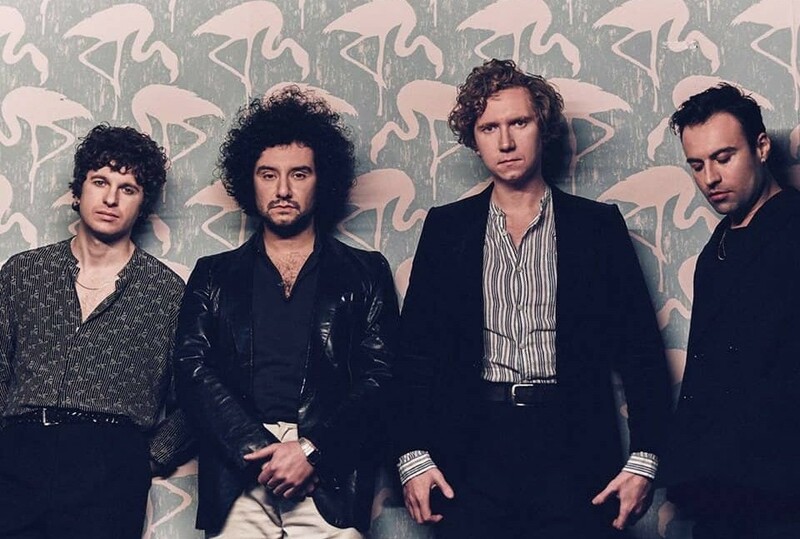 Of last summer's U.S. tour dates, Beyond The Stage Magazine noted of their sold-out Brooklyn Steel show, "Sounding better than ever, The Kooks made sure there was never a dull moment during their set, keeping the audience engaged from beginning to end. The band's spot-on production perfectly illuminated their fun, upbeat tunes" (5/15/18). Elsewhere, SF Sonic added about their San Francisco show, "The Kooks put on the exact kind of show we want to see where you forget all your problems, dance and sing for a couple hours" (6/18/18).